The team is a club of athletes who have come together to chase common goals and to get the best out of themselves through the sport of Triathlon. Our club is open to all individuals and we look forward to helping you achieve your triathlon goals now and into the future. After two great years of our racing team under the chairmanship of Mark Jeffers alongside a great committee who have achieved a great amount.Build the club from 15 odd members in a training group to a men’s team club championships in 2013 along side leading lady Anna Crooks and in 2014 a clean sweep of all 3 club competitions and once again leading Lady with Carolyn Maria Hayes. 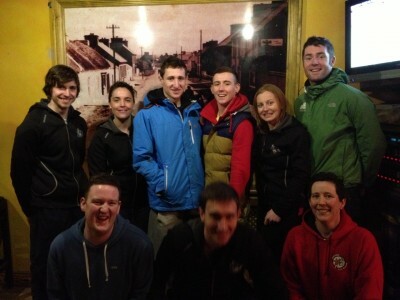 The men’s team, Ladies team and the mixed team competitions. These results were only the tip of the iceberg. The true value in GoTri is the friendships, the camaraderie at training sessions. the knowledge sharing and drive to succeed at all levels. The club was founded in 2012. 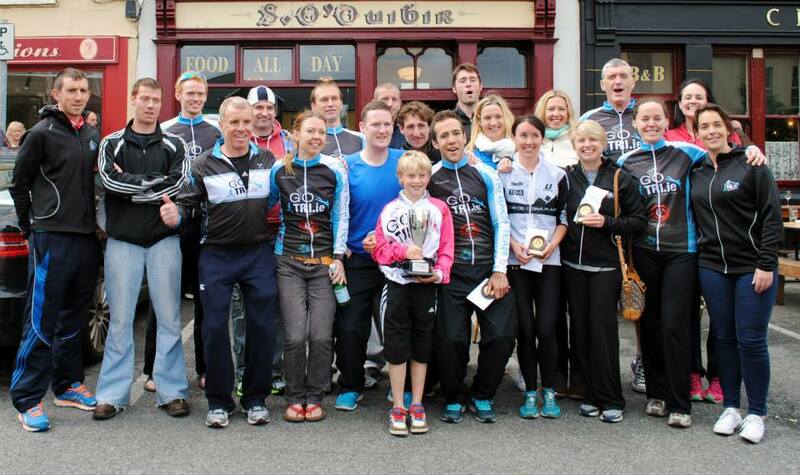 The Team /club achieved a great season in 2013 winning the team prize for best male club alongside many individual and team successes such as best team at Up the creek triathlon, which took place in Kilrush. 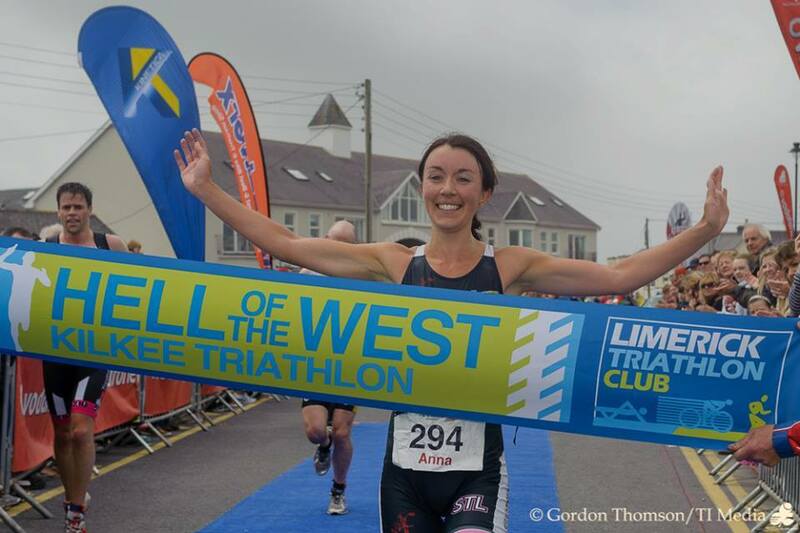 Our individual members garnere d numerous individual successes such Anna Crooks winning Kilkee “hell of the west” or Andree Walkin winning European age group bronze medal. It is not just the Elite at GoTri we are a team of athletes of all shapes and sizes all helping each other to enjoy and take part in this great sport. Together we push each other forward. Find our GoTri Membership form here. 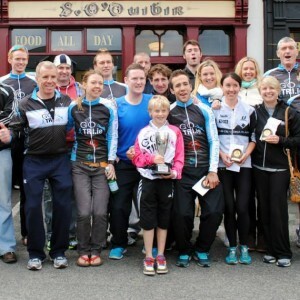 The simple reason for starting GoTri.ie was to give people of all abilities the best advice and the best opportunity to reach their personal goals. Your personal goal maybe to just to get fit or race an ironman, whatever it is we can help. Coaching is a passion and something I love to do, I have a lust for knowledge and an addiction to understanding what the body and mind can achieve through different training approaches. When I entered the triathlon arena, coaching didn’t exist in our beloved sport in Ireland. I had to learn from mistakes, from body breakdowns, from friends and from overseas coaches. As I look around Ireland today, I see huge amounts of talented people who potentially could be very good athletes if they had the opportunity to work with a coach.